Sail across the Atlantic and back on Regent Seven Seas Cruises 91-Night Grand Arctic Discovery on Seven Seas Navigator. Celebrate the arrival of summer with this all-inclusive New York roundtrip cruise. 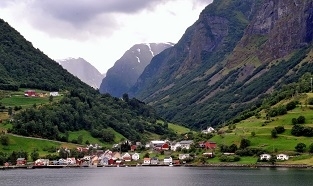 Visit remote and unique outposts, including several UNESCO World Heritage Sites as well as beloved European cities. Travel to Great Britain and into the Baltic for an overnight stay at culturally rich St. Petersburg. Explore the dramatic landscapes of Scandinavia, revel in the sun-kissed Mediterranean and visit the enchanting Azores before concluding this unforgettable journey. 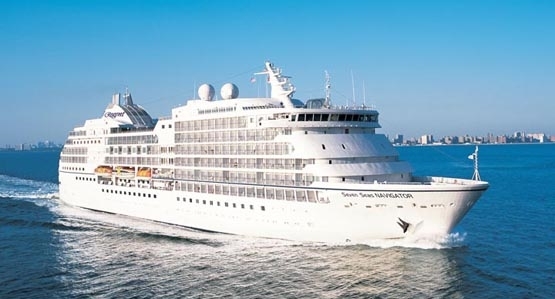 Regent Seven Seas Cruises® even gets you there with free business class air! First Class Air, Shipboard Credit, Pre-Paid Gratuities and More! Fares as low as $46,899 and First Class Air, Shipboard Credit, Pre-Paid Gratuities and More!! First Class Air, Shipboard Credit, Pre-Paid Gratuities and More!! Fares shown are per person based on double occupancy in the minimum available category, cruise only, US dollars and reflect 2-for-1 cruise fares plus the bonus savings for new bookings only. Many other categories available, please call for rates. Fares are subject to increase. 2-for-1 Fares and Bonus Savings are based on published Full Brochure Fares; such fares may not have resulted in actual sales in all suite categories and do not include optional charges as detailed in the Guest Ticket Contract. FREE Roundtrip First Class Air includes ground transfers and applies to roundtrip flights only from the following airports: ATL, BOS, CLT, DEN, DFW, DTW, EWR, FLL, IAD, IAH, JFK, LAX, LGA, MCO, MDW, MIA, MSP, ORD, PBI, PHL, PHX, SAN, SEA, SFO, TPA, YUL, YVR, YYZ. Airfare is available from all other U.S. and Canadian gateways for an additional charge. FREE Domestic Roundtrip First Class Air includes all airline fees, surcharges and government taxes. Airline-imposed personal charges such as baggage fees may apply. *FREE Visas apply to U.S. and Canadian citizens only. FREE Door-to-Door Luggage Delivery Service applies to Guests residing in the U.S. and Canada only. Luggage is restricted to 2 bags per Guest at 50lbs per bag. FREE Medical Service includes onboard medically necessary treatment only. FREE 1 hour phone time per suite. Cruise Specialists shipboard credit is $400 per person for guests 1 & 2, applies to full cruise guests only and is capacity controlled. All offers may be withdrawn at any time without notice. Other restrictions apply. We reserve the right to correct errors.